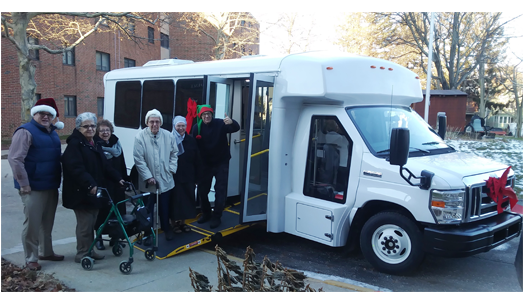 Santa Arrives Early with a New Bus for our Residents! 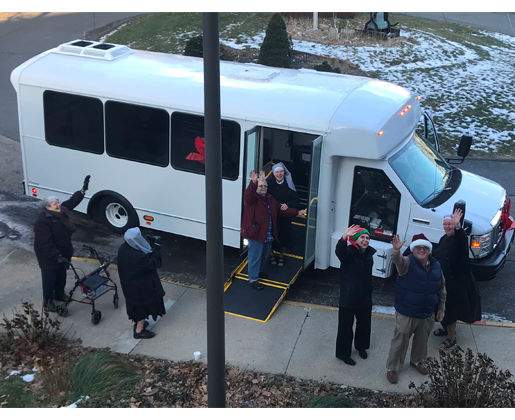 After two years of fundraising and shopping for just the right style, our new bus donning red ribbons with Santa in the driver’s seat, arrived on a frosty mid-December afternoon, horns blaring and elves on board waving to the crowd. 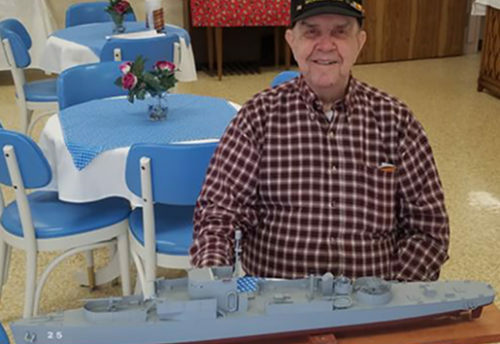 Our Residents gathered at the windows of the home with only the understanding that Santa was making a surprise visit with an early Christmas present. They were all delighted to see this new vehicle that would be theirs and would soon be transporting them in safety and comfort to many different destinations. This latest design in buses allows for the easy boarding of those Residents in wheelchairs or with walkers, allowing them to use a low-incline ramp safely, rather than using the old-fashioned-style “lift”. This bus should prove to be a wonderful way to transport our Residents of almost all physical abilities and allow them to have some fun and see the great outdoors! 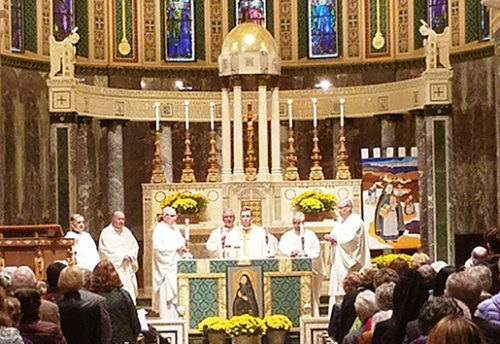 We are so very grateful to the many who helped us achieve this goal with their donations and their support!